Updated Thursday September 6, 2018 by John Rocchio. 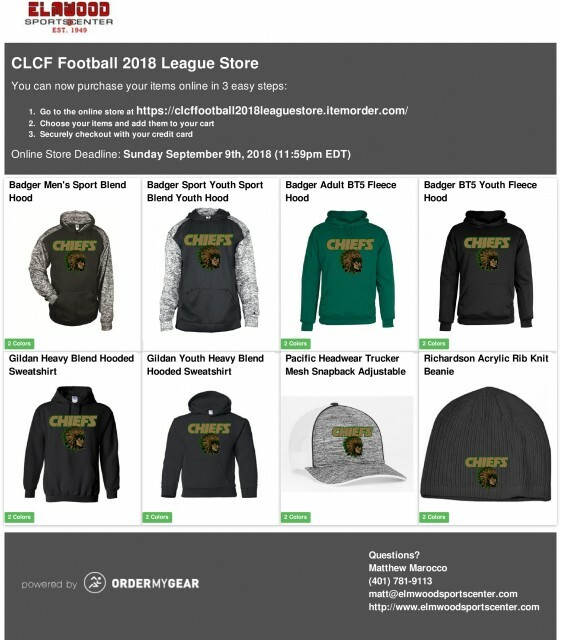 The 2018 Official CLCF Chiefs Online Apparel Store is Open! Check out the site HERE to place orders on sweatshirts, hats and shirts! Orders will be fulfilled on a weekly basis! Email Apparel@Clcfchiefs.org for additional information!